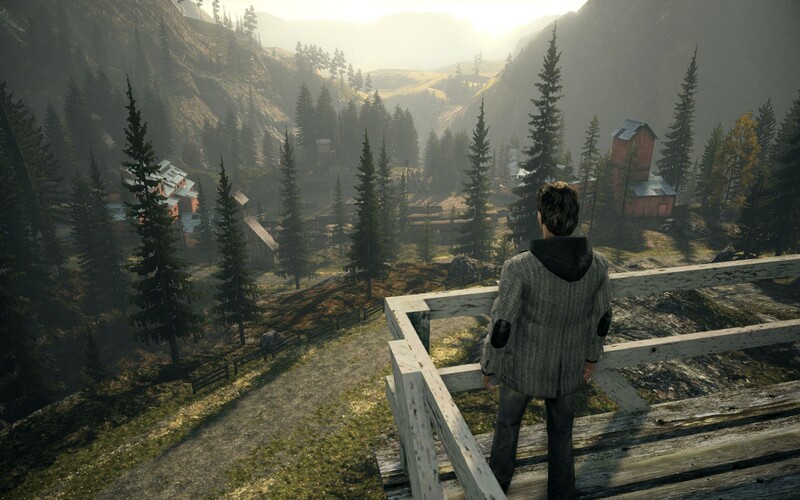 The Incredible Plot of Alan Wake, Eps 1 through 3 | SPACE-BIFF! 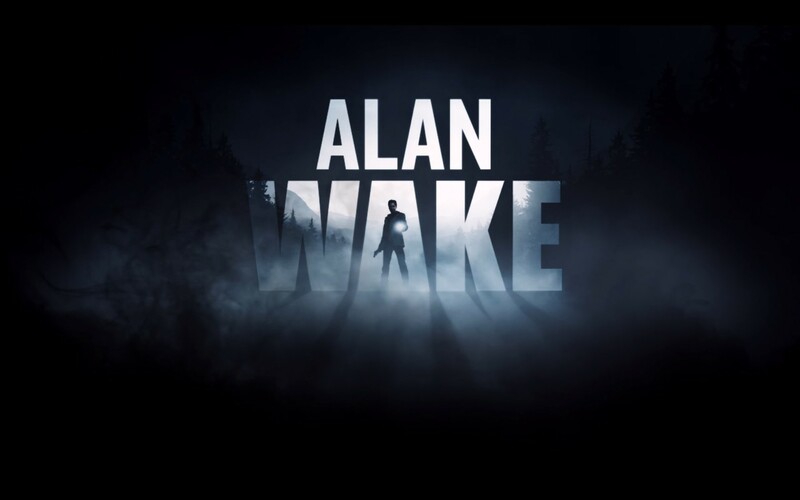 I just finished playing through the first three episodes of Alan Wake by Remedy Entertainment, and I must tell you, it is so good. So good that I want to talk about the things it does really well, and the ways that it deconstructs the horror genre. 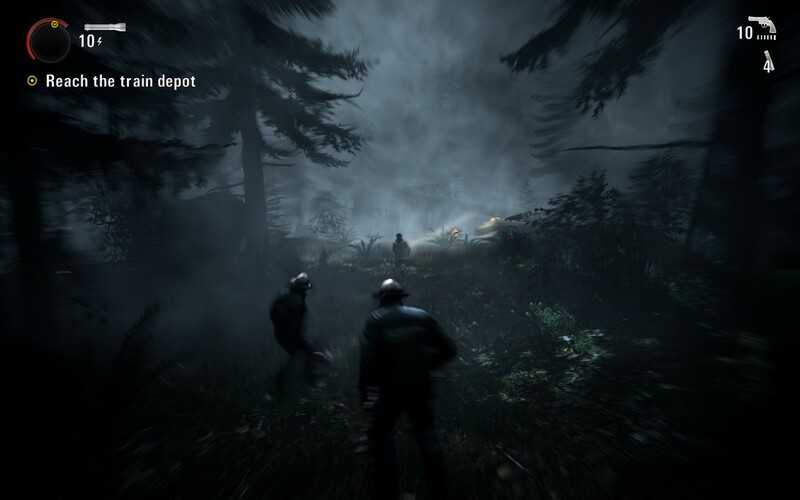 I hope all you devs out there are listening, because from now on Alan Wake will basically be the definitive how-to when it comes to making horror games. 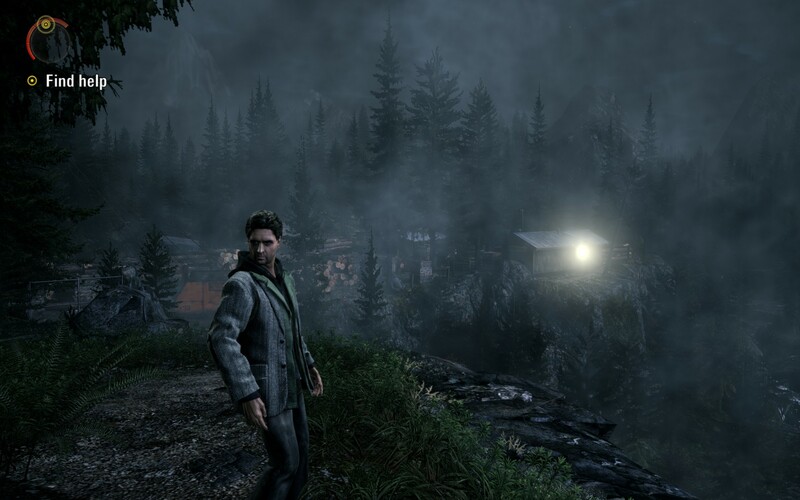 Alan Wake journeys to the ill-named town of Bright Falls. Okay, so let’s jump right in. 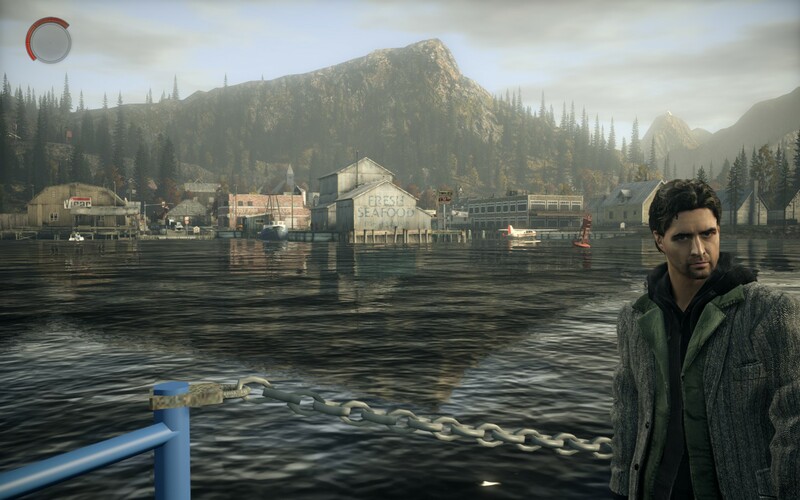 Alan Wake is a writer who doesn’t write anymore because of trauma or boredom or eldritch night terrors. After one of these nightmares about a hitchhiker who wants to lop his head off with an axe that he was lugging around hitchhiking, Alan wakes up on a ferry bound for the town of Bright Falls with his wife Alice. This town is in Washington (state) or Alaska; somewhere damp and chilly and haunted. On the ferry, a creepy old man claims to be a radio enthusiast, which makes Alan think he’s even more creepy (“Come check out my HAM sometime,” should never be your opening line when propositioning handsome young writers). Turns out, the annual Bright Falls deer festival is coming up, which further weirds out our hero, because who the hell wouldn’t be weirded out by a deer festival being the number one attraction in an already-creepy town. They stop in town to awkwardly converse with some of the local fauna, then drive over to their rented lake cabin. The lake cabin turns out to be balls scary, and it doesn’t get any better when it turns out it’s run by a generator that’s competing with the Baghdad Batteries for the title of world’s oldest power source. Alice is surprised that Alan is annoyed with her when she leaves her pants very enticingly draped over a railing but tells him that instead of lovin’, he’s going to write a novel while on their romantic getaway to scary town. They argue for a while, then pretend to be surprised when the lights go out and they’re trapped in a horrifying creaky cabin in the middle of the night. Alan goes out to kick the generator again, but he’s attacked by demon bats and Sarah decides to go swimming in the lake and she drowns or gets kidnapped or Alan is/goes insane. Alan decides to look for help in an abandoned logging camp. Alan wakes up after being in a car crash and decides to seek help. He can see a gas station across a narrow river, but instead of fording or swimming it (or walking a short ways to the bridge that spans it), he decides to take a miles-long detour through a mist-filled and obviously-haunted forest, where he is attacked by shadow-cloaked mountain folk. 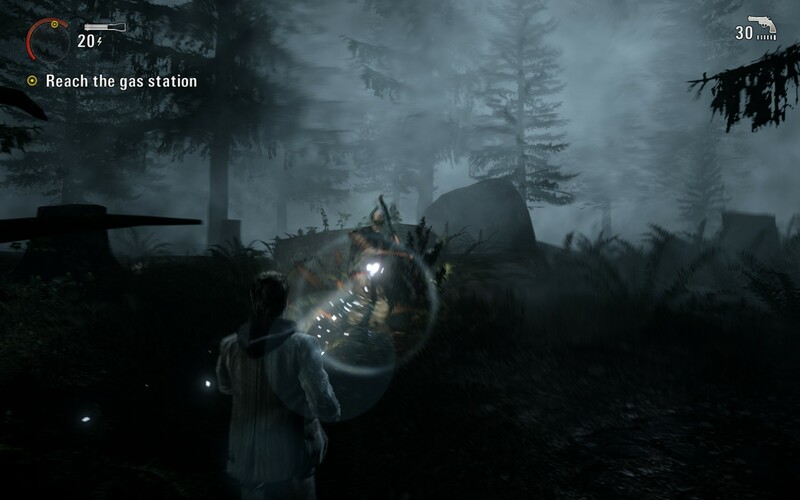 Fortunately, Alan finds himself in possession of a flashlight and revolver, and sets to exorcising the ghost people via the common method of pointing his flashlight at them until their shadowy wreaths are dispelled, then shooting them until they dissolve into a burst of light despite being made of darkness. Alan attacks a machete-wielding redneck with his flashlight. Unlike most horror, which relies on creating surprising or unique situations, this attack is thankfully not just a onetime thing. Alan now finds himself fighting the Battle of the Argonne, using his flashlight and revolver to eliminate hundreds of the twisted rednecks through thirty-something hours and fifteen miles of indistinguishable forest. By replicating the same moment of attack uncountable times, the game plays a double trick on its players, surprising them by not surprising them. 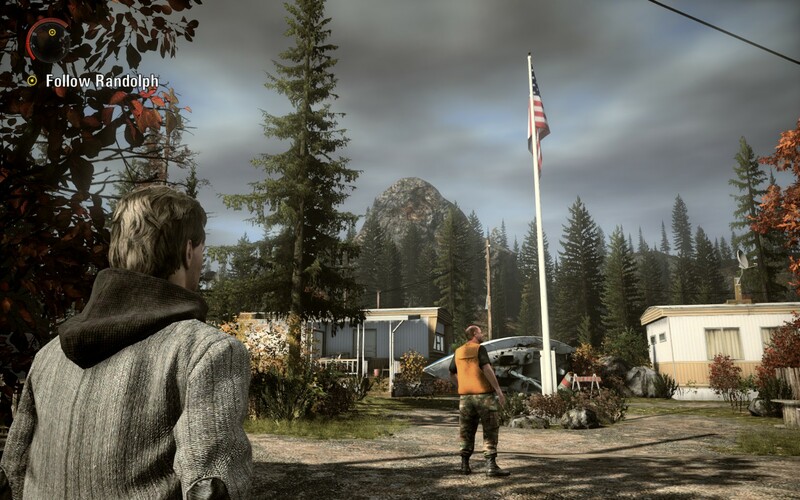 During the game’s one boring scene, Alan investigates a lead in a trailer park. Along the way, Alan is receiving exposition and hints from unknown sources. Spooky television shows featuring him as a character and even radio broadcasts from the man on the ferry fill in the blanks of this richly-textured world. Alan finds pages of a manuscript that apparently he wrote, and they give prophetic insights to what is going on, even hinting that Alan is creating the horrific reality that has enveloped him. Even more mysteriously, someone with not-fluorescent paint has left Alan spades of helpful clues. About ten hours into the game, this convenient clue appears. Eventually Alan faces off against his greatest fear, which has been foreshadowed for hours: a tractor. After a few more hours of battling possessed mountain men, Alan finds himself once again surrounded by boring daylight and dull stunning vistas. 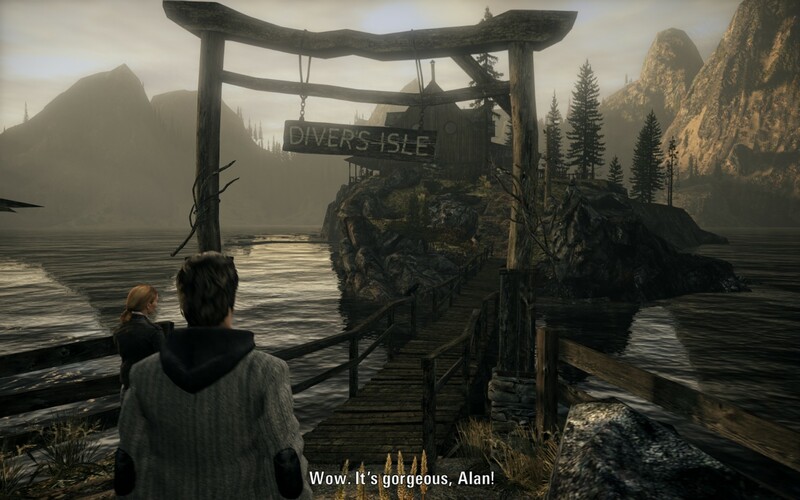 Alan Wake is totally nonplussed by what he sees. Thankfully, Alan knows that only three of the game’s episodes have passed, and soon he will be back in the forest, battling more of the shadow men that have come to terrify him with their unrelenting appearances. It could last forever, he assures himself. 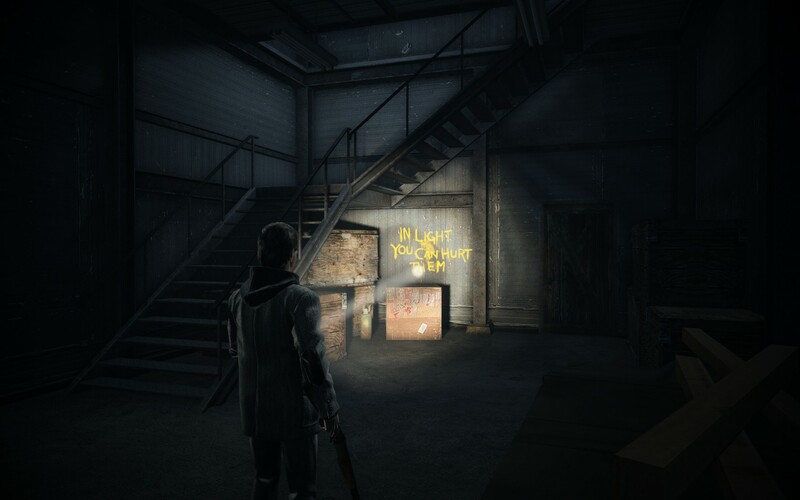 Posted on May 18, 2012, in How-to, Reviews and tagged Alan Wake, Remedy. Bookmark the permalink. 10 Comments. I haven’t laughed that hard in a while, felt great! Wish my flashlight was that powerful. Best alt texts on Space-Biff yet? I think so! Maybe even the best article, tbh. lol, He is just acting like everyone’s favorite Hero Number Five, Defendor. In that case, you didn’t like nothing. True story. You missed out bro. 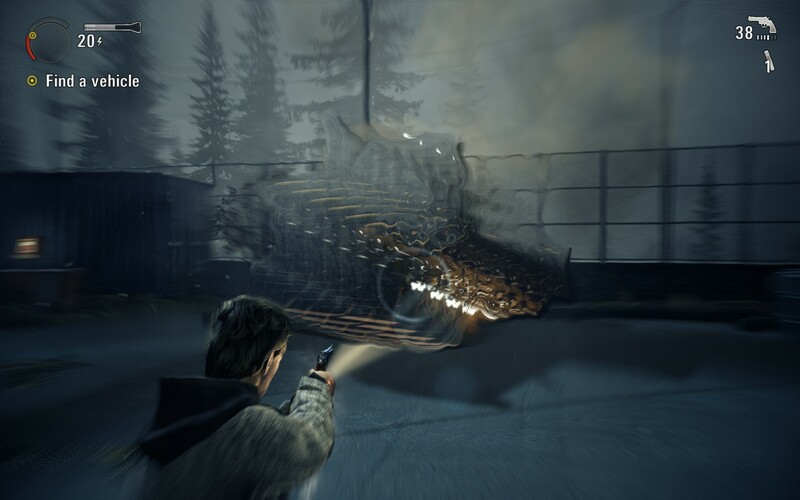 Pingback: The Incredible Exposition of Alan Wake, Ep 4 « SPACE-BIFF!